The future points to increase integration. 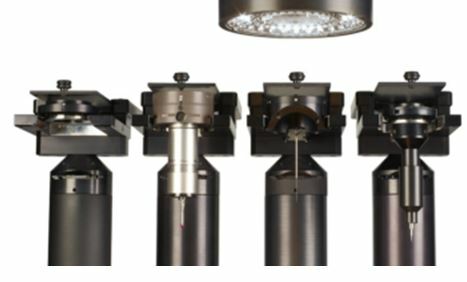 One example of this is the Werth Multisensor System, with conventional stylus systems, the fiber probe, and/or the contour probe, and accessories such as angle optics and ancillary lenses placed directly in the image processing beam path with an integrated laser distance sensor. The distribution of sensors on two independent axes, of which only the currently active sensor approaches the work piece, also increases flexibility and operator convenience.